Atkin spoke with Michigan Radio's Sarah Cwiek about the experience for Stateside. 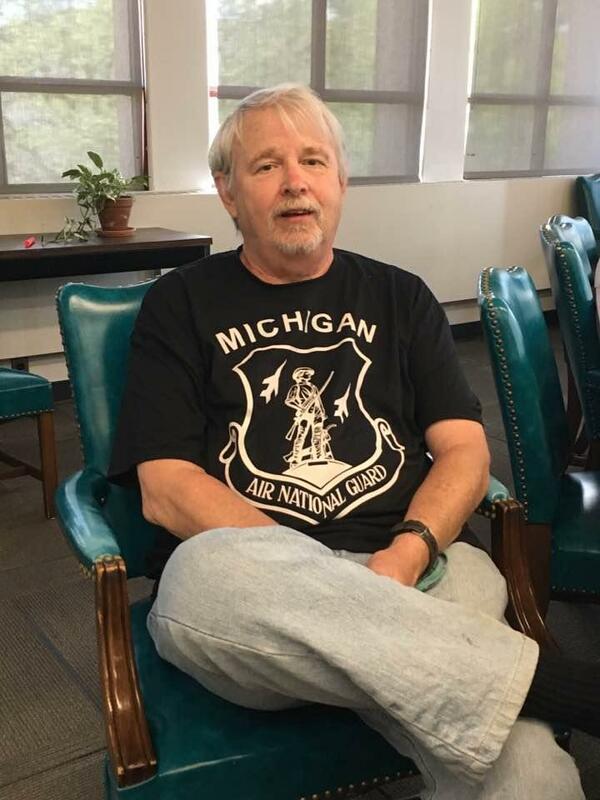 Jim Atkin discusses his experience as a member of the Michigan Air National Guard during the 1967 Detroit riots. Atkin joined Air National Guard in 1965, with the 191st Supply Squadron. 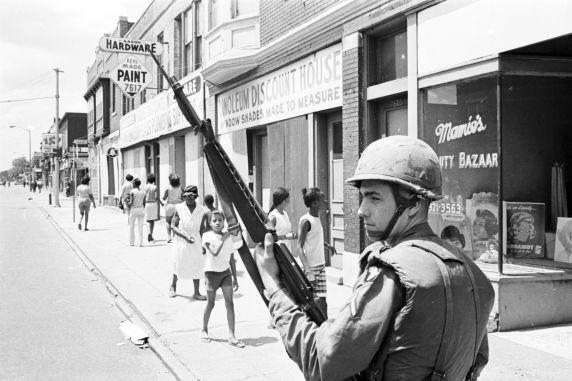 When the 1967 uprising got started in the early morning hours of Sunday, July 23, Atkin’s unit wasn’t called up right away. He ended up spending a night at Detroit Metro Airport, which was transformed into an ad-hoc base camp. Then the guardsmen got on buses, and headed down I-94 toward Detroit. They finally arrived at the First Precinct in the heart of downtown Detroit, which had been turned into a fortress. Atkin said it was a surreal scene. “There’s huge sand bag bunkers built about 10 feet high up and they had spotters, snipers, barbed wire all over the place,” he said. More than a dozen city buses were parked outside, crammed full of people who had been arrested. With jails and police stations overflowing, authorities were jamming people into whatever spaces they could find. Atkin says it was a mixed group of men: most black, but some white; old and young. They ranged from suspected snipers, to people picked up for simple curfew violations. And by that point, some of the prisoners had been there for a day or more. Atkin’s orders were to keep people on the bus, so there was no question of escorting people to the bathroom. It smelled strongly of urine. The mood was tense and volatile. Atkin says he alternated between feeling sorry for the prisoners, and doing what he had to do to maintain order. It's hot. Those buses smell bad. It wasn't nice. Atkin was relieved when the detainees were finally taken to Belle Isle, which had been turned into a makeshift prison camp. By then, some of the prisoners had been on that bus for days. But conditions on Belle Isle were still far from ideal. Many detainees remained there for days, as the overwhelmed court system improvised a version of justice under martial law. Most of the thousands of people arrested eventually pleaded guilty to misdemeanors. Few were sentenced to any jail time. But the whole experience was life-changing for everyone involved, including Atkin. He says before this, he had been a relatively naïve kid. 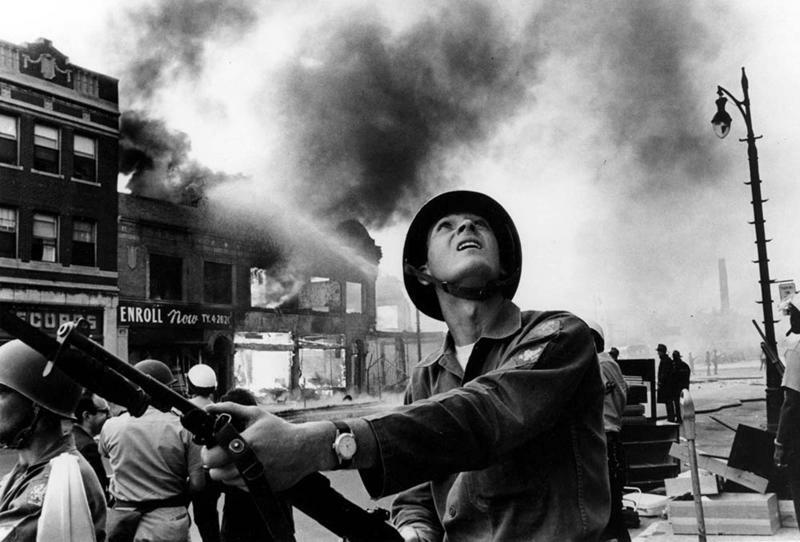 But afterward, he started thinking and learning more about the conditions and inequities behind the violence. Listen above to hear the full interview with Jim Atkin.